Our mini session event, Photos with Live Bunnies, is the only time we offer our coveted Rewards Membership during the year. There are many perks that come along with our membership so be sure to check it out. 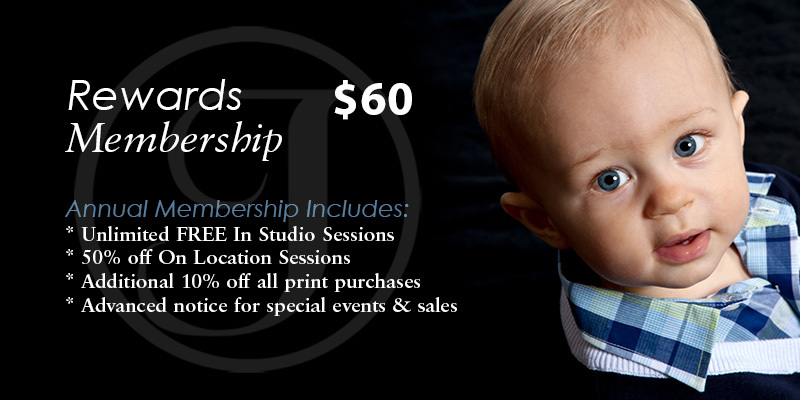 Members receive free in-studio sessions with a limit of one per day. 50% off On Location Session Fees. 10% off all print purchases. PLUS receive a two (2) free 4×6 prints upgrade during Photos with Santa.